Forward-looking infrared (FLIR) cameras are used for a host of military and civilian rotary wing applications, everything from law enforcement and pipeline patrol to detecting oil spills around drilling platforms and locating oil reserves under ice in Alaska. Law enforcement operators use them to locate marijuana fields. An operator with a FLIR camera can fly over a quarry and by comparing the current image to a previous image, determine how much stone has been removed. Infrared cameras can determine the chemical makeup of a farm field. They can also be used to help pilots navigate in fog, smoke and haze. 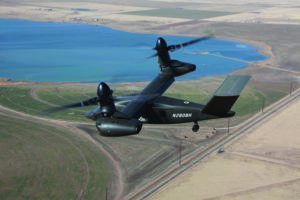 Like many airborne systems, they are developed and tested first for use in demanding military applications, then adapted and marketed for civilian use. Forward looking is used to distinguish these systems from the older sideways-tracking infrared systems, sometimes known as “push broom” imagers. 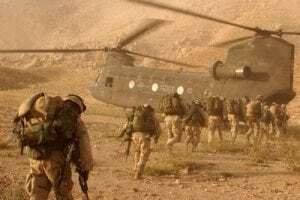 Although infrared cameras have been used since the 1950s, the proliferation of UAVs in the conflicts in Iraq and Afghanistan and the ability to create, store and transmit digital high-definition images have driven recent advances in technology. Advances include lighter-weight systems with greater image resolution – high definition – the ability to actually read a license plate on a car, for example, as opposed to simply seeing the license plate as a blur of letters and numbers. Every object emits some kind of heat, or thermal signature. An infrared camera detects that heat by the use of sensors that identify infrared radiation, converts that radiation into an image and a wavelength that the human eye can see, and then makes a picture or video of the image. These images can be stored for use later or transmitted in real time to someone on the ground. A FLIR system was instrumental in locating one of the perpetrators of the Boston Marathon bombing, hiding under a plastic sheet in a boat in someone’s backyard. His body generated a heat signature, and although FLIR cameras cannot see through all materials – such as thick wood or glass – they can penetrate plastic. The camera that took that image used a wavelength of three to five micron wavelengths. The human eye can only see about one to 0.4 micron wavelengths. There are three components of a good forward-looking infrared system: detection, recognition and identification. Stability is also important for a sharp, clear image – especially when working with long-range targets – and so most infrared cameras are gyro-stabilized. Range capability is generally measured in clear weather. 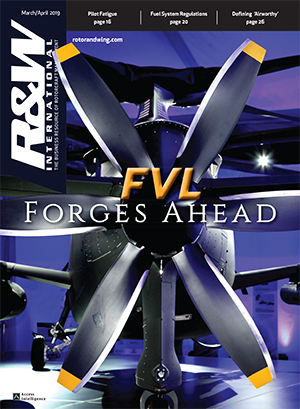 Rotor & Wing profiles the major manufacturers of forward looking infrared systems here, together with specifications of key models. ADI ISR has been in business for 30 years and manufactures four infrared systems: the Venator, Vigilis, Spector and Patronis. They offer extended range, continuous optical-electro optics, infrared zoom and electronic zoom. ADI ISR includes an automatic video tracking system, four-gimbal stabilization, picture-in-picture video display, and mechanical gyro-stabilization. The systems can operate in various modes including observations/rate, inertial target tracking, hold coordinate, point to coordinate, scan/mosaic (optional) and pilot window. Aselsan makes third-generation night-vision equipment, laser range finders, and thermal imagers for airborne platforms. Aselflir is a multipurpose device that offers operators surveillance, search and rescue, automatic target tracking, and target detection/recognition capabilities. For day-night and adverse weather conditions, Aselsan has designed an electro-optical sensor system called Falconeye, which comprises an advanced thermal imaging system and a day TV sensor. Cloud Cap makes a line of small, lightweight gyro-stabilized camera systems, which are designed to provide real-time imagery for reconnaissance, aerial surveying, infrastructure inspection, mapping, surface vehicles and atmospheric sciences. The line includes the TASE150, 200, 310, 350, and 400. Its systems include an onboard GPS/INS; there is no external IMU required for geo-pointing. Cloud Cap also offers fiber-optic gyro stabilization and a common operator interface among all its products. A laser range finder and illuminator are available on certain gimbals. The TASE 300 and 400 series have onboard image processing capable of target tracking, scene steering and electronic image stabilization. An optional external unit is available for the TASE150 and 200 payloads. ViewPoint gimbal software is part of the TASE payloads and includes an integrated moving map display and video recording. Controp is based in Israel and was formed in the late 1990s by former Israeli Air Force officers, but is now jointly owned by Rafael and the UAV manufacturer Aeronautics. 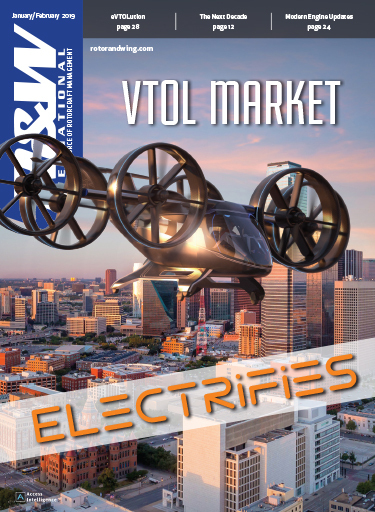 The company is known primarily for its electro-optics products for military manned aircraft and, more recently, UAVs, and produces a range of gyro-stabilized electro-optical payloads for rotary wing air surveillance and reconnaissance for both military and civilian operations. Its products include the DSP-HD, Shapo and TR-Stamp. Controp’s systems offer a continuous optical zoom lens for thermal imaging cameras (up to 36x), image processing, a built-in video tracker, and image stabilization. DST Control manufactures lightweight, gyro-stabilized electro-optical systems with both electro-optical and infrared capabilities, and small, lightweight long-wave thermal imagers. Its thermal imager has a resolution of 640 x 480 and a refresh rate of 25 or 30 Hz. The camera is small – 27 x 27 x 20 mm – and weighs 22 grams without the lens. The OTUS gyro-stabilized, electro-optical micro-gimbal is optimized for use in small and medium airborne platforms. FLIR Systems was first to market a forward-looking infrared system in the 1960s, and because of its success its name is now frequently used in a generic sense for all such systems. Over half of its business is airborne. 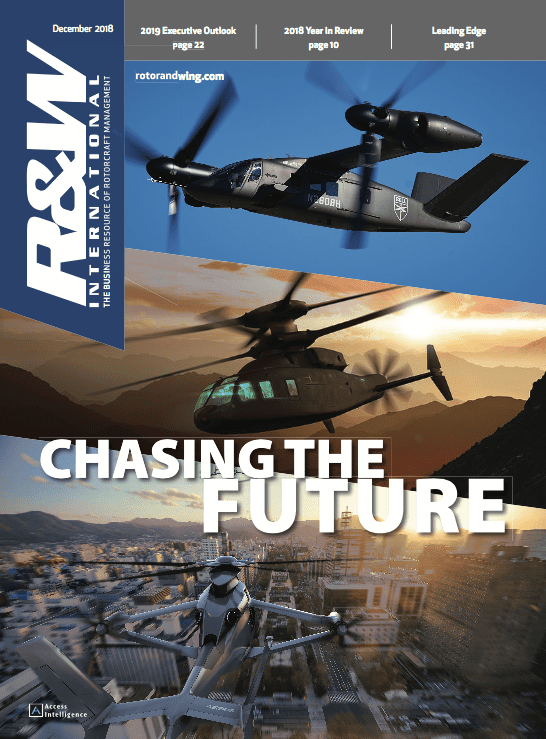 FLIR serves three primary markets: search and rescue – their systems are on every U.S. Coast Guard helicopter and fixed-wing aircraft – airborne law enforcement, and the military, which drives most of its business. FLIR employs a protocol known as CDMQ – Commercially Developed Military Qualified – for all its products. All of its systems are gyro-stabilized, and they now offer a FLIR for the iPhone 5. In 2005 FLIR introduced high-definition digital imagery technology, which defines an image with a minimum resolution of 1280 x 720 pixels. FLIR now offers second-generation imaging, or 1920 x 1080 pixels. This helps search and rescue operators see from a longer distance, and airborne law enforcement has access to sharper imagery. FLIR’s Star Safire series includes the Star Safire 380-HD, an all-digital, full-HD system. It has been installed on more than 100 different helicopters, fixed-wing aircraft, ships, land vehicles and observation towers in 70-plus countries. The Merlin MTI, released last year, is a video analytics system that works with the Star Safire. The Norway Ministry of Justice and Public Security tapped the Star Safire 380-HDc for its new fleet of AgustaWestland AW101s to be used in the country’s All Weather Search and Rescue Helicopter program, with an in-service date of 2017. General Dynamics’ V-Series offers gyro-stabilized electro-optical/infrared and high-definition gimbal systems, providing real-time, day and night situational awareness and long-range threat detection, which includes searchlight controls, laser illuminating and geo-pointing functions. The V-9 is for airborne law enforcement and public safety missions, and is equipped with infrared and HD sensors to capture target signatures day and night. The V-14 is a multi-sensor camera system integrated in a four-axis stabilized gimbal assembly for stability at long range. It includes a focal plane array and continuous EO and IR zoom. The V-14 includes a video processor and power conditioning unit. With a five-axis gyro-stabilized gimbal assembly, the V-14HD offers 1080 pixel HD imagery with stability. Lockheed Martin worked with Thales and BAE to produce the Target Acquisition Designation Sight/Pilot’s Night Vision Sensor (TADS/PNVS) for the British Army’s WAH-64 Westland Apache. M-TADS/PNVS is an upgrade to the navigation and targeting system for the Apache. Known as Arrowhead, it is the electro-optical fire control system that Apache pilots use for operations in day, night, or bad weather. The lower turret contains the targeting system, which has both day and night sensor assemblies. The FLIR has three fields-of-view, a multi-target tracker, multiple-code laser spot tracking, and internal boresight. A charge-coupled device camera assists with day television viewing. Arrowhead’s electro-optics will replace the TADS/PNVS direct-view optics with a new design, the TADS electronic display and control unit. It includes line-replaceable modules for field maintenance, together with a digital video system. Target Sight System (TSS) is the multi-sensor electro-optical/infrared fire control system for the U.S. Marine Corps’ AH-1Z Cobra. It is a large-aperture, mid-wave, forward-looking infrared sensor, color TV, laser designator/rangefinder, and on-gimbal inertial measurement unit in a stabilized turret. Pulselite’s IRIS technology measures heat signatures and creates an electronic, real-time, black and white image of objects and terrain. It is designed to aid in terrain mapping, collision avoidance, ground maneuvers, weather mapping and situational awareness. 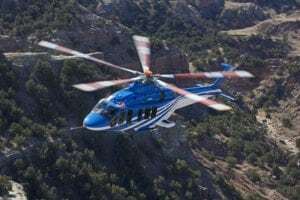 For Bell 206 and 407 helicopters, the PreciseLite HID and IRIS camera kit incorporate high-intensity lights and infrared imaging to help pilots navigate in poor visibility conditions. The 50-watt HID generates a beam that is close to natural sunlight. During night or IFR conditions, the combination of a whiter color with a greater light output helps with landing and taxiing. 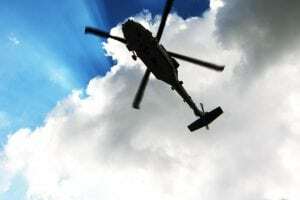 With rotary wing operations, HID lighting helps reduce vibration and residual heat because it is placed forward on the lens, which helps the light remain clear in all weather conditions. Raytheon serves the military helicopter market with its MTS product line, a multi-spectral targeting system that has logged more than two million flight hours on platforms including UAVs, fixed wing and rotary wing, with the helicopter market representing roughly a third of that number. Employed on the MH-60, Raytheon’s MTS consists of a forward-looking pod combining multiple sensors with an electro-optical and infrared full-motion video camera system that permits long-range surveillance and high-altitude acquisition, tracking and laser designation. Future developments include a new camera that can render a 3D image. Raytheon is also developing hyper-spectrum systems that will allow an operator to, among other things, lock in on a specific object and track it for days – like finding a needle in a haystack. Sagem’s Euroflir offers a range of electro-optical gyrostabilized observation systems for helicopters, equipped with thermal cameras and high-definition day cameras and laser sensors. Euroflir 350 is a compact EOS that provides a thermal image and high-definition video images. The basic version is equipped with four sensors: a thermal camera, an HD TV camera with continuous optical zoom, a laser telemeter and a laser pointer. Euroflir 410 is modular optronic EOS that can integrate several different sensors: a thermal camera, an HD color TV camera, a laser telemeter, a laser designator, a laser pointer, a laser illuminator and a low- light level camera. 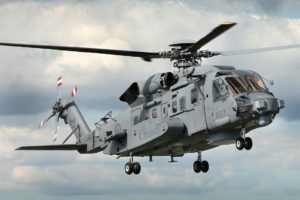 It can track mobile targets, employ laser designation for combat helicopters, and is used on the NATO Helicopter Management Agency’s NH90s, the Nordic Standard Helicopter Program’s helicopters for naval missions, and the French Navy’s AS565 Panther. L-3 Wescam manufactures stabilized, multi-spectral imaging systems, including the MX-10 and MX-15 for military and civilian helicopters. 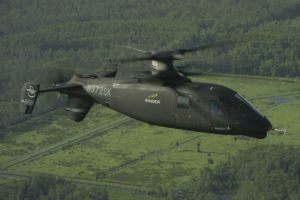 L-3 Wescam recently released significant enhancements to the electro-optical and infrared surveillance and targeting products for the MX series. For the MX-15, a new color low-light, wide-angle zoom EO imager enhances imaging capability under a wide range of illumination conditions, including dusk and poor weather.